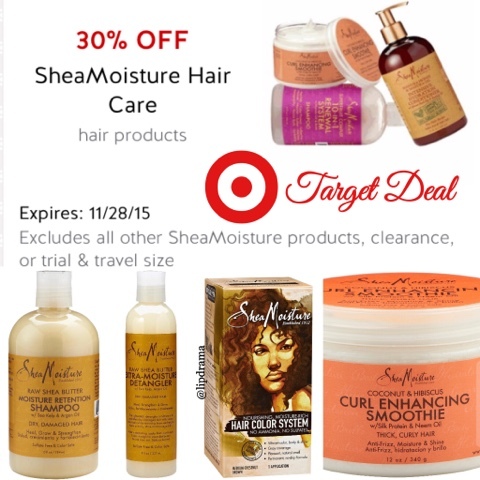 DEAL ALERT: SheaMoisture Sale Today Only at Target! ALL SheaMoisture products are on sale at 30% off today only when you use the Target Cartwheel app. There are four separate coupons in the Cartwheel app for baby, body, bath and hair products, which can be used in store only. If you have any of their $2 off coupons you can save even more! Some Target stores carry the SheaMoisture makeup line but I don't think any of these coupons will apply to that unfortunately. 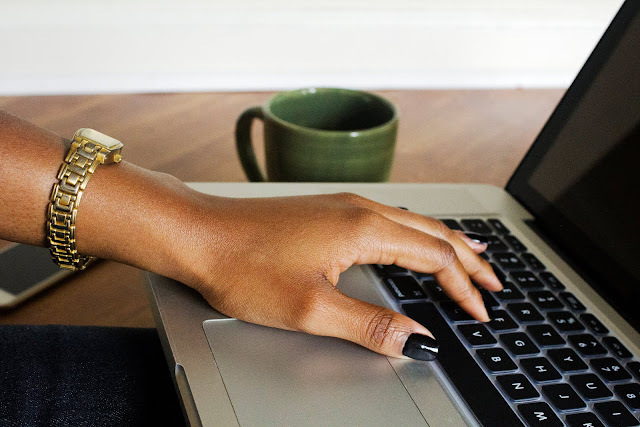 I've included some of my fave hair products on the bottom if you're new to this brand. That detangler is my holy grail hair product. It detangles AND moisturizes my curls like no other. I also love their black soap too. Great at clearing up the skin. Now if you can't make it in today don't fret. In tomorrow's ad there is a coupon for 25% off ALL Beauty and Personal Care items that is for Tuedday, December 1st only. This can be used in store or use promo code BEAUTY for online purchases.